Colorado voters will have extra help making up their minds about a ballot initiative to label genetically modified foods. A new effort, the Colorado Citizens Initiative Review, will produce a voter guide on Proposition 105, a ballot measure that proposes labeling foods containing genetically modified ingredients. 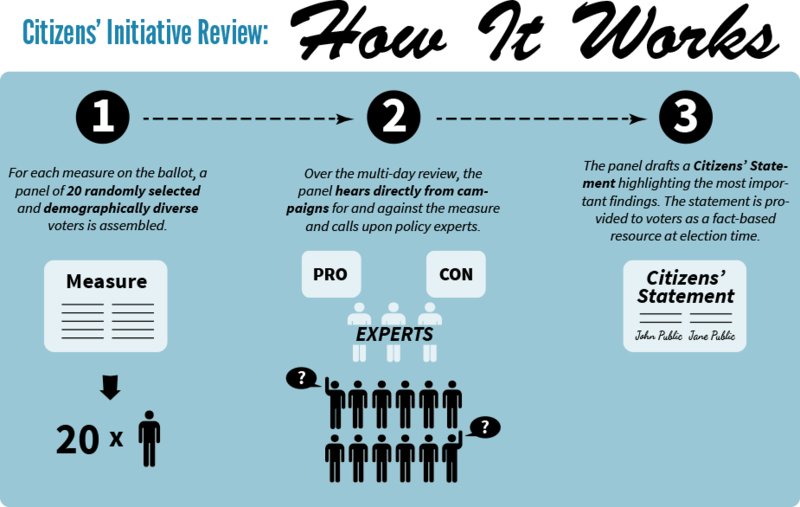 The review is a pilot project aimed at helping voters better understand complicated ballot measures. 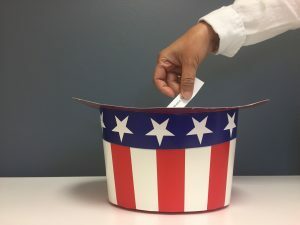 “We find that voters often say that they are perplexed and confused by these measures and are not sure that they are obtaining factual information,” said Brenda Morrison, a public policy consultant with Denver-based Engaged Public. Morrison is heading up the citizen review effort, which is new to Colorado, but has its roots in Oregon, where a similar project is now a regular part of the voting process. It is backed by the group Healthy Democracy, a nonpartisan organization aimed at improving public policy. The review works a little like the jury process. The group mailed letters and applications to 5,000 voters around the state, looking for participants in the three-and-a-half day process. They are selecting a group of 20 citizens that reflect the voter composition of the state, in terms of location, education, and a few other factors, said Morrison. On Sept. 7, that group of 20 convenes in Denver for a few days of intensive study on the measure. They will research the initiative and view presentations from those in favor and against. They will also hear from neutral sources, who are agreed upon by the pro- and anti-initiative factions. The panel has the opportunity to ask questions, and the process is also open to the public. “The participants look at these claims, hard. They look at them very thoroughly,” said Morrison. At the end of the process, the panel will take a vote on whether or not they support the measure. The results of that vote, along with statements for and against the measure, will be released Sept. 10. “So the voter is going to get key findings and arguments for the measure and arguments against the measure that they can use in their evaluation,” said Morrison. Since the project is in pilot mode, they are only evaluating one of the four measures on Colorado’s 2014 ballot. The review initiative’s board selected the genetically modified labeling measure because it affected all Coloradans and involved questions of science, which voters might find complicated. Katherine Knobloch, a professor of communication studies at Colorado State University, has been part of a National Science Foundation-supported research team evaluating the efficacy of the citizen review process in Oregon. She will also review the Colorado process. “We found that Oregonians have found the CIR [Citizens Review Process] pretty useful,” said Knobloch. 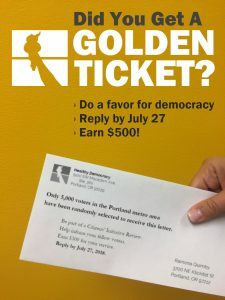 In 2012, a survey found that 51 percent of Oregon voters were aware of the review, and over two-thirds of those voters found it useful, she said. Reviews of Oregon’s panels have been positive, with participants saying the process is neutral and informative. From mid-October up through the 2014 election, Knobloch will be surveying Coloradans to see if they have heard of the review and how it affected their vote. In Oregon, after the project piloted in 2010, the review eventually made its way into that state’s blue book – the issue guide mailed to every voter. That’s not happening yet in Colorado, but the review will be available online and promoted over social media, said Morrison. Depending on how the review initiative goes, it could return in two years. “If the evaluation shows that voters would like to continue to have this kind of information, that we will hopefully consider doing 2.0 in two years,” said Morrison. Healthy Democracy, the group behind the Oregon and Colorado review projects, is also sponsoring an effort in Phoenix with a local ballot measure. They are also interested in starting citizen reviews in California and Washington, two other states with a ballot initiative process.